Who doesn’t love a well dressed man?! As well as loving female fashion i love scrolling through Lookbook and viewing men’s style and trends. When i saw Stylonylon had created a competition with Debenhams to win £500 based on creating two mood boards with a casual and smart outfit for a male a i thought it would be a great idea to be creative. Not only would also be great to give something back to my boyfriend who religiously takes my outfit pictures when requested hehe! This is something a bit different to what i usually post but to any men out there who read my blog or for those with a man in your life i hope you like my outfit inspiration! 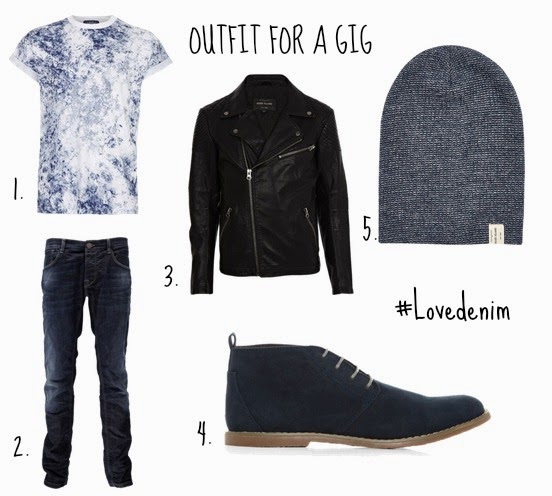 First up is this super cool and casual look which in this instance could be worn to a gig. Biker jackets are so effortlessly cool and versatile as they can be dressed up or down,day or night. I LOVE this t-shirt and i would also wear this myself if i could! Tie dye was very much in last year and still seems to be around and the wash of this one is perfect. Good shoes on a man are essential and are one of the first things i look at, brogues are really casual but still look smart without being too over the top for a gig. Dressing up for a night out and dinner is definitely my favourite thing to do as i’m sure many men do as well! This is my favourite outfit of the two that i created and it is so in fashion with female trends too, check the gingham bow tie out! Its a more unique option to a standard (boring) tie! 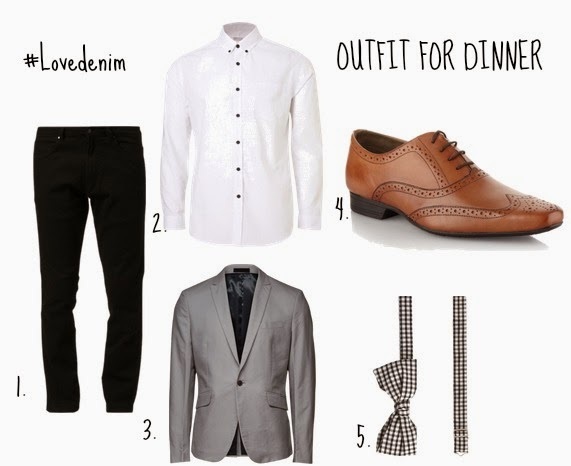 The monochrome look with the jeans and shirt looks fab with the grey blazer, the whole outfit looks really pristine and i would certainly not mind rocking up to a restaurant with my boyfriend dressed like this! Thanks for reading, i hope you enjoyed my male clothing inspiration! Do you like a well dressed man? Which is your favourite outfit?